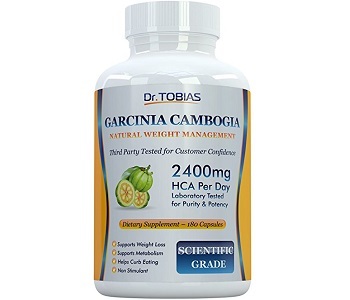 Today we review Garcinia Cambogia by Dr. Tobias. In this day and age, we are so busy that we regularly put our health on the backburner. More and more people are struggling with attaining and keeping a healthy weight. Garcinia Cambogia claims to help you manage your cravings whilst also supporting your metabolism. This supplement also minimizes fat storage and helps to keep you energized throughout your day. If you struggle to lose weight or you have an ideal weight in mind and need help getting there, then a supplement might be advantageous for you. Read the rest of this review below if this product interests you. Calcium prevents your body from regaining weight after weight loss. It also boosts your metabolism whilst strengthening your teeth and bones. Garcinia Cambogia Extract is sampled from the tropical fruit Malabar tamarind and blocks your body’s ability to produce fat and it also helps you to feel fuller for longer periods of time. 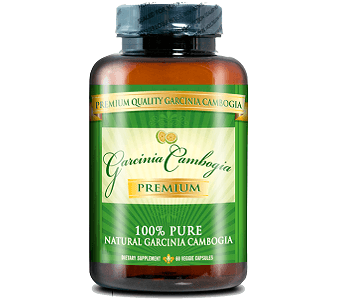 High levels of HCA in Garcinia Cambogia are what ultimately makes it so potent. It is recommended that you take 2 capsules 30-60 minutes before a meal, 3 times daily or as directed by your doctor. It is best to use this product whilst exercising and following a healthy diet. If you take more than the recommended daily dose you could experience mild side effects. These side effects include diarrhea, nausea and stomach cramps. Please consult your doctor before taking this product if you are nursing, pregnant or taking prescription medication. This product was manufactured in a fabric that process milk, soy, wheat, egg, peanuts, tree nuts, fish and crustacean shellfish and may cause an allergic reaction in sensitive individuals. This product is also not intended for children and individuals under 18 should also consult a doctor before using it. Unfortunately, you cannot buy this product directly from the manufacturer’s website but if you subscribe to their site you will receive a 10% discount coupon. Amazon sells this product for $31.81. Each bottle contains 180 capsules and some of the retailers on Amazon also provide free shipping in the US. We could not find any guarantee associated with this product, but Amazon does accept returns up to 30 days after you have bought the product. Reviews regarding this product were not overwhelmingly positive. Some of the customers who bought the product stated that they are not happy with the results seeing as they haven’t lost any weight and up 30% of the reviewers on Amazon gave this product a 3-star rating or lower. We like that the manufacturers put calcium in the ingredients, seeing as it has numerous health benefits, and it actually benefits the weight loss process. We also like that this product is available on numerous online sites and that you can find it in stores as well. However, we find this product expensive when compared it to similar products on the market. We are also not encouraged by some of the negative reviews we have read about it seeing as it has left a lot of people very disappointed.